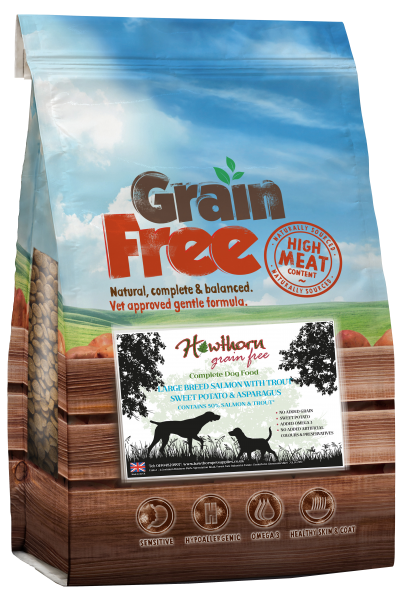 Our premium salmon dog food has been formulated using a naturally hypoallergenic recipe with no Wheat gluten just high-quality ingredients. 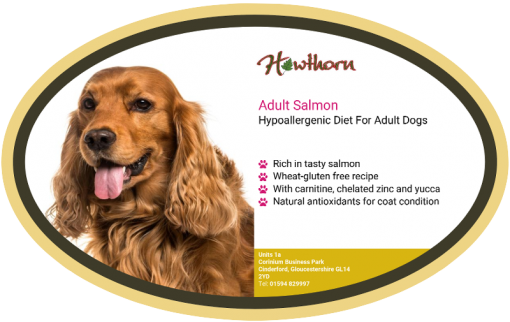 Our premium salmon dog food has been formulated with a hypoallergenic recipe with no wheat gluten. This premium salmon dog food is rich in salmon consisting of 35% salmon. 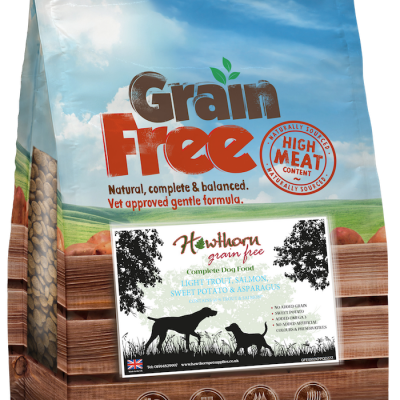 It also is made using Maize and Oats instead of other filler ingredients you find in many foods. 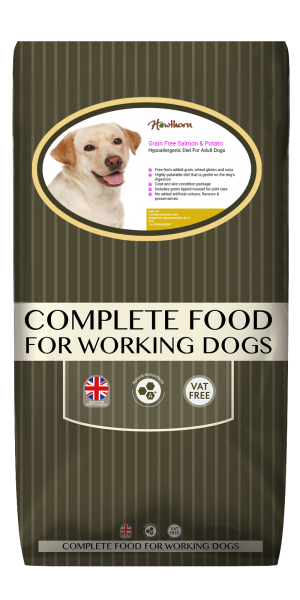 Our premium salmon dog food is made for adult working dogs, although it is a great food for many other dogs as well. Introduce the diet gradually over a period of 5-7 days until it replaces the previous food completely. 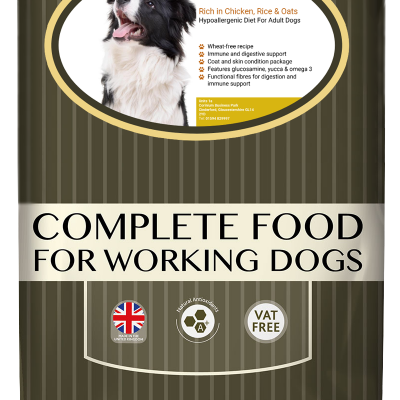 It is suggested that the total daily intake be divided into 2 meals. 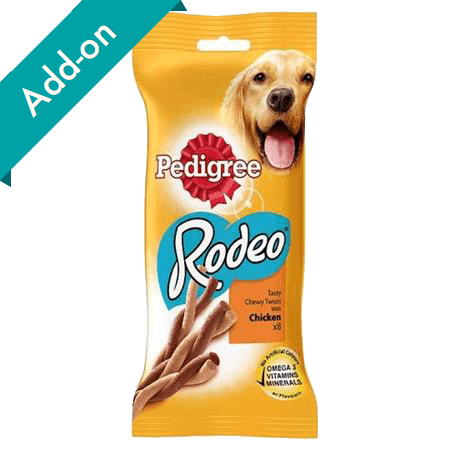 This product can be fed dry or moistened with water or gravy to the consistency that your dog prefers. 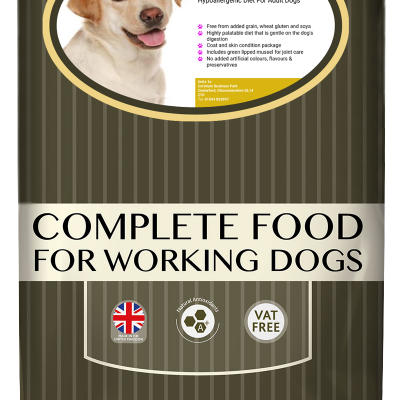 Typically a thorough mix of 2 parts warm water with 3 parts (dry weight) of food is preferred. 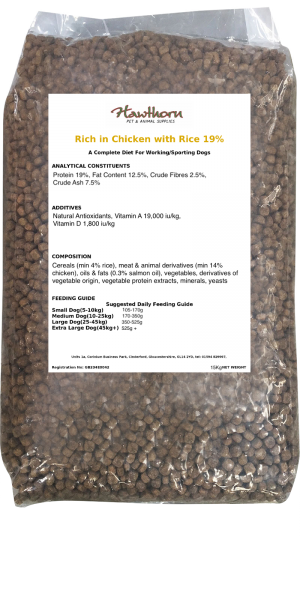 The amounts shown are only a guide and you should only feed sufficient amounts to maintain condition, dependent upon the level of activity enjoyed and the conformation of your dog. Always ensure that clean, fresh drinking water is available at all times. There is no requirement to supplement this diet. Store in a cool, dry place. For best before date and batch number - see side of bag. Very high salmon content. Higher than most branded products but much less expensive. My pups love it. 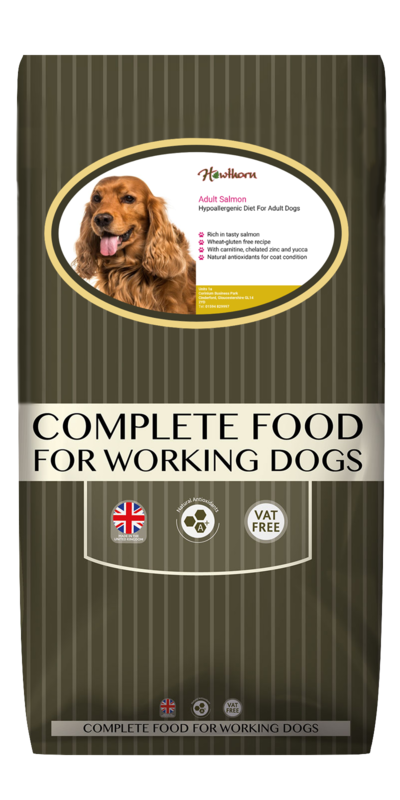 Great food, our 4 dogs have stunning shiny coats and healthy joints. They will be on this for life, much better than branded alternatives. 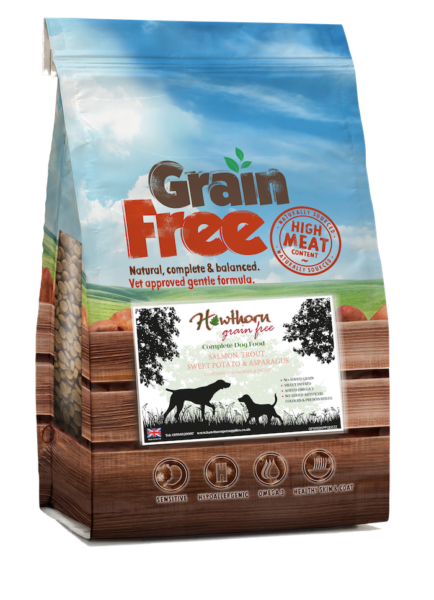 Our freshly prepared large breed grain free adult salmon, trout, sweet potato and asparagus food has no added grain and is free from artificial colours.